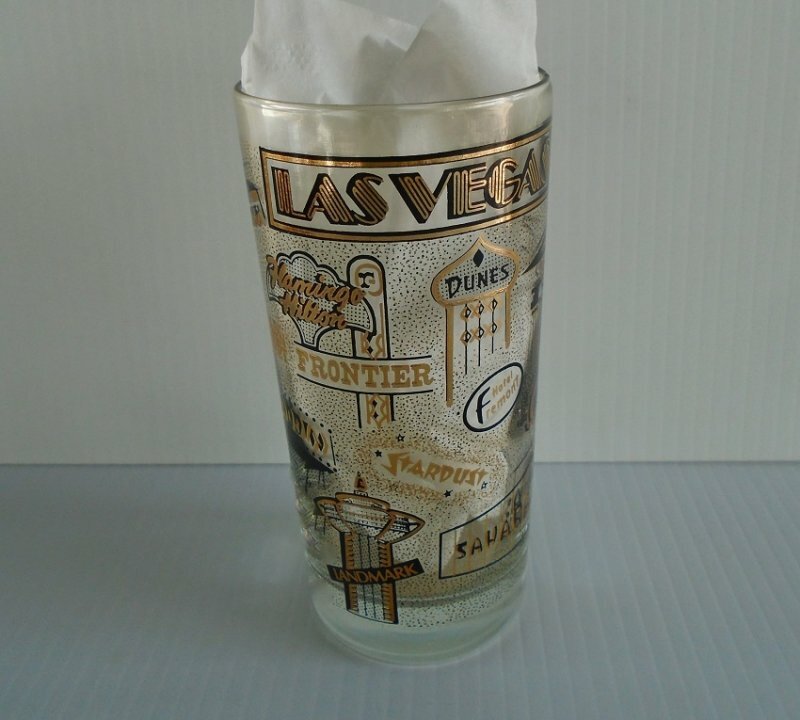 This drinking glass is decorated with the logos of at least 22 Las Vegas casinos. All casino imprints are in the colors of black and gold. The glass measures 5.5 inches tall and the top is 2.75 inches across. I purchased it at an estate sale, so do not know the date it was made. 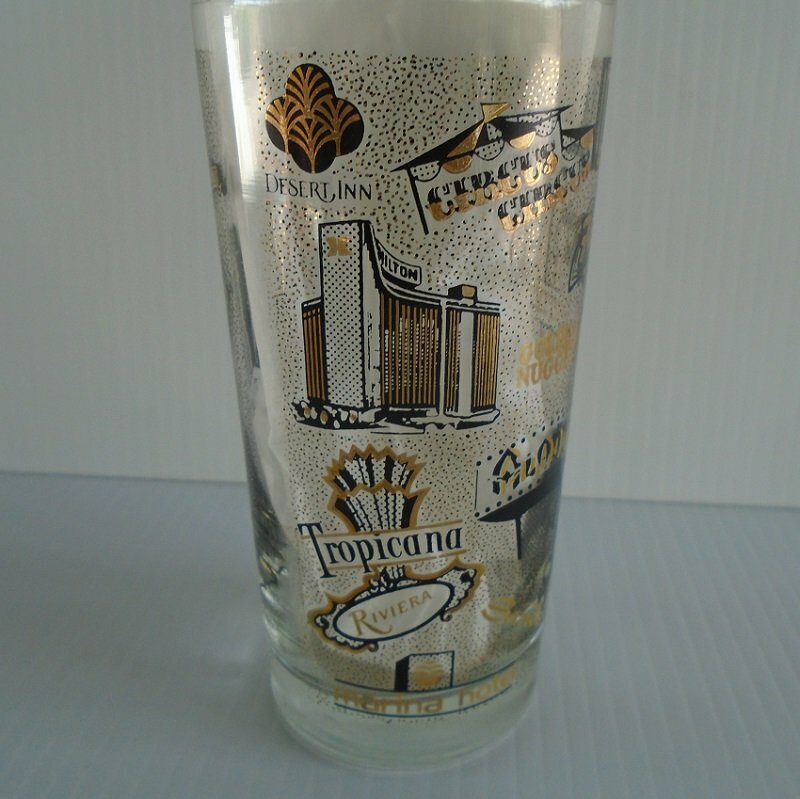 I am dating the glass to be pre 1988 because one of the casinos advertised is the Mint, which closed in 1988. 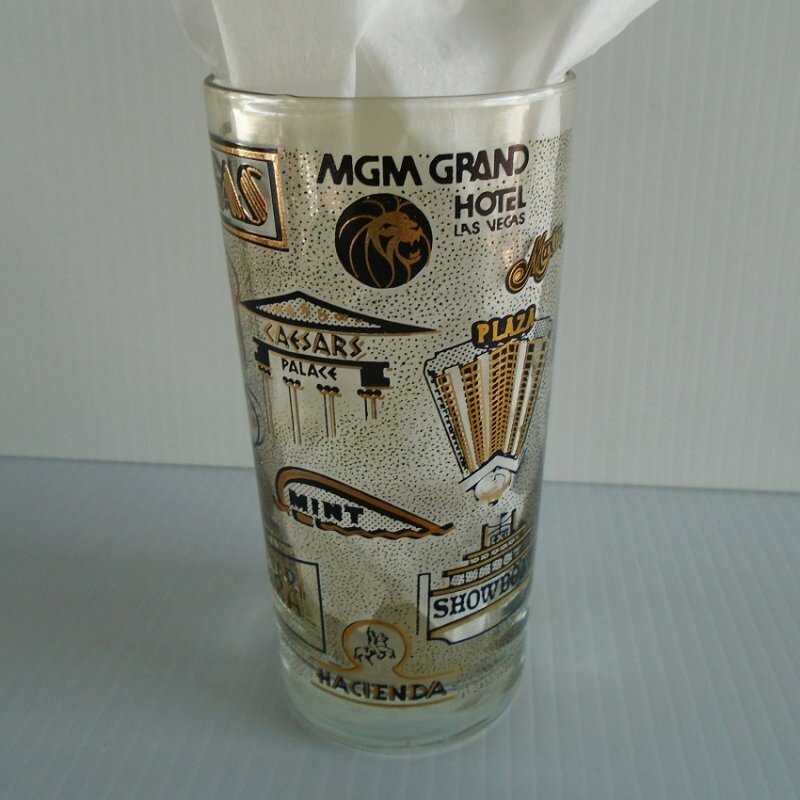 Flamingo Hilton / Frontier / Golden Nugget / Aladdin / Sands / Landmark / Dunes / Hotel Fremont / Stardust / Sahara / MGM Grand / Caesars Palace / Mint / Hacienda / Maxim / Plaza Hotel / Showboat / Desert Inn / Circus Circus / Tropicana / Riviera / Marina Hotel. There is no breakage or cracks. The logos have no flaws in the coloring. Buyer to pay $6.95 USPS First Class Mail Parcel postage charges. Shipping is from Arizona.